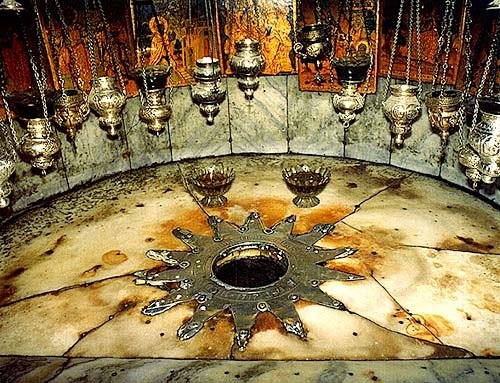 Thirteen years ago – The faithful who visit the Holy City always go to the Church of the Nativity, place where Jesus Christ is believed to be born over two thousand years ago according to Christians. 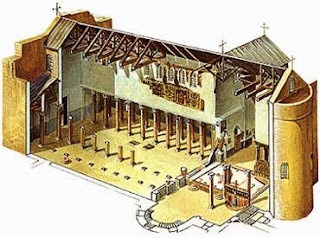 In that basilica, once destroyed during Samaritan revolts and rebuilt by the Byzantine Empire, people could find peace in an ongoing site for prayer. They would come from all over the world to be astonished by the aisles and its Corinthian columns, the still beautiful mosaics and the numerous chapels. To enter the church, however, visitors should pass through a very low entrance named ‘Door of Humility’, which somehow tells everyone that it doesn’t matter how powerful or rich you are, you are the same as everyone else once you’re there. Especially in the Grotto of Nativity, an underground cave enshrining the site where Christ was born, marked by a 14-pointed silver star under the altar, into the marble floor. In that day, June 6th, at dusk, the visitors got frustrated when they were asked to leave the Grotto. They could hardly understand what was happening, although they knew that was something related to a young woman laid on the floor, crying in pain. When she entered the chapel, with her innocent and frail traits, no one could tell she was pregnant for her belly was not so prominent. Samira was from Dimona, Israel. She had seen that church several times in dreams before disobeying her family and escaping in the middle of the night to get there; that place could have the answers she was looking for. She hoped it did. In those dreams Samira always visualized a man in a black cape, pointing to a golden path, which led to a church she had never been to. Until that day. As soon as she put her feet in the place that once was a shed, the labor pains started. But it wasn’t any kind of pain. That was the strongest pain a woman ever felt while delivering a baby. And Samira was just a thirteen-year-old girl. Then Samira pulled him right next to her face, whispering to his ear. The Priest listened with full attention to the shocking revelations being trusted to him. Interrupting him, two men dressed in white medical uniforms came along the chapel. “What are you going to do?”, he looked at the girl as she sobbed while muttering something he could not understand. While he left to the nave, the Priest heard Samira’s agonizing yells. And her screams would never leave his mind. Without thinking clearly, he took a Bible out of his pocket and started to pray in a loud voice. Some of the people in the church, tourists in the most, looked at him horrified, trying to understand what was happening in the sanctuary. All of the sudden, there was silence. A deep silence that seemed to last an eternity and was broken by a newborn baby’s harrowing cry. The tall doctor came through the Grotto entrance, looking a little bit tired. Crimson blood spotted his uniform. “How is she?” asked the Priest. The Priest followed the doctor’s eyes. There was a very good-looking man, in his thirties, with a tired and very old man. They seemed apart from what was happening around them and kept exchanging glances with the doctor. They smiled then and left the place with no hurry. With fear running through his body, the Priest ran back to the sanctuary. The child was in a kind of cradle, while the other man sewed Samira’s mutilated body on a blood puddle. “What happened here?” he asked the other doctor, horrified. When he looked back trying to see who was speaking, the Priest was hit on the forehead. He even tried to run away, with his dulled view and feeling dizzy. He ended up falling next to Samira’s body. Before everything turned to dark, he heard a terrible laughter. Around the world several people felt the signs that something grandeur was happening. And those signs happened mostly to six five-year-old children: a black-haired boy in the USA named Victor seeing his headmaster in boarding school being shot to death; a black girl in South Africa named Christine surviving an airplane crash; a red-haired boy in the United Kingdom named William overhearing a strange negotiation in a public library; a blond girl in France named Alice lost in the woods; a brown-haired girl in Italy named Esperanza facing a speaking dark shadow; and a light brown-haired boy in Brazil named André running afraid through a church. The signs were clear, even though they didn’t have enough wisdom to understand them. They had been chosen, and, from that day on, their lives had another purpose.